As the second quarter of the year got underway, we set out to help more families build their home infrastructure. In our housing project, we provided bricks while motivating the home owners to buy their own roof and also contribute the labour charges. This is in line with our principle of community participation so that families gain both a sense of self-help as well as value for the home they build. 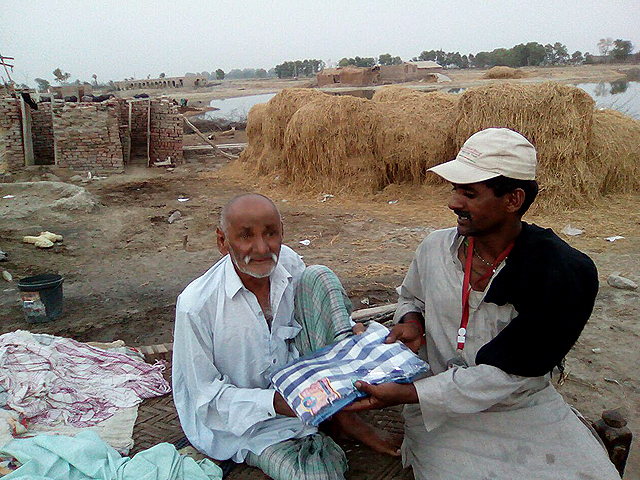 In the last quarter, we helped two labourers and and one buffalo trader to build their homes. Since 2008, we have helped 39 families build homes. Another important part of family infrastructure is provision of clean water which is available about 70 feet below the ground through boring. We give families the pipe and the water machine and we require they contribute the labour cost. We provided seven more families with water handpumps this quarter and another three public hand-pumps taking the total number of handpumps to 185 since the project began in 2008.